Now let's talk a little bit about this outfit. To don a camel- hair coat was just a dream (for quite some time) that finally came true. I always knew that it will be a vintage one (affordable/ best quality) but I didn't know when I will find "the one". Well, last week, before my NY trip I visited one of my favorite vintage boutique and I found this timeless piece in camel shade. For a first wear I paired with white and a fuchsia accent. 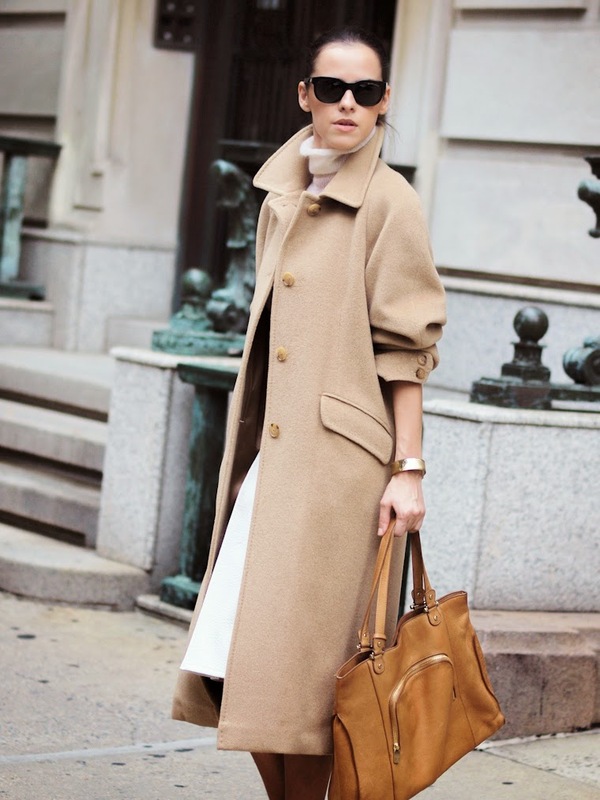 Killer look – I love the drama of the long coat in the versatile, neutral hue. Great piece! Beautiful coat! This outfit is great! I love the combination with the bright pink shoes! It is so unexpected and so chic! This coat is amazing! WOW! Love it! 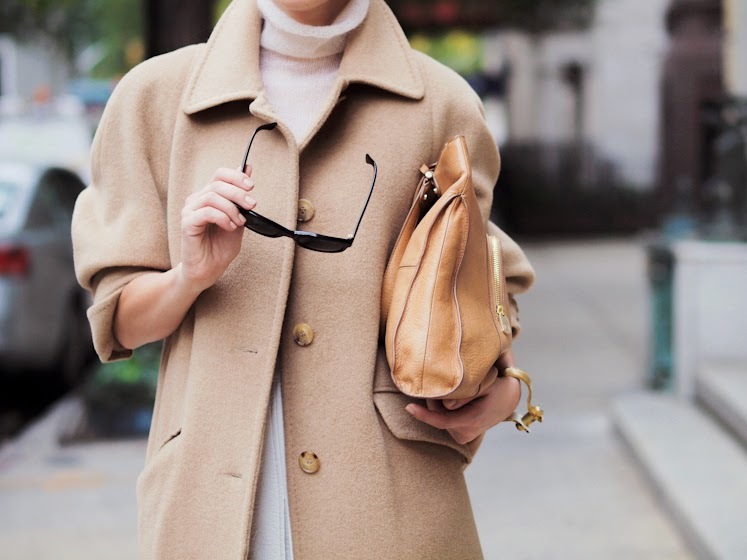 amazing camel coat !! really one of the best ive ever seen dear !! I love a fuchsia touch! Beautiful bag! Gorgeous coat and that bag is amazing too! That coat is gorgeous, such a chic look! Those shoes are the icing on top of it all. Love the pop of color! I love your camel coat! The color from your shoes adds a great element to your look. I love the way camel and pink looks together and you look gorgeous. Que guapa, un look increible, me encanta el abrigo combinado con los zapatos!!! The absolute epitome of elegance and refined urban sartorialism! Excellent one Veronica!